Save the date! May 8, 2019 is National Bike to School & Work Day! 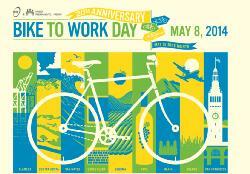 Every year Berkwood Hedge hosts an early morning energizer station for the community's "Bike to School and Work Day". Our students and their families organize neighborhood "bike flocks" and ride, walk and scoot along safe and easy routes to school. Everyone is invited and encouraged to support alternatives to driving.